← Dream Rocket Kaiju Dragon WiP !! 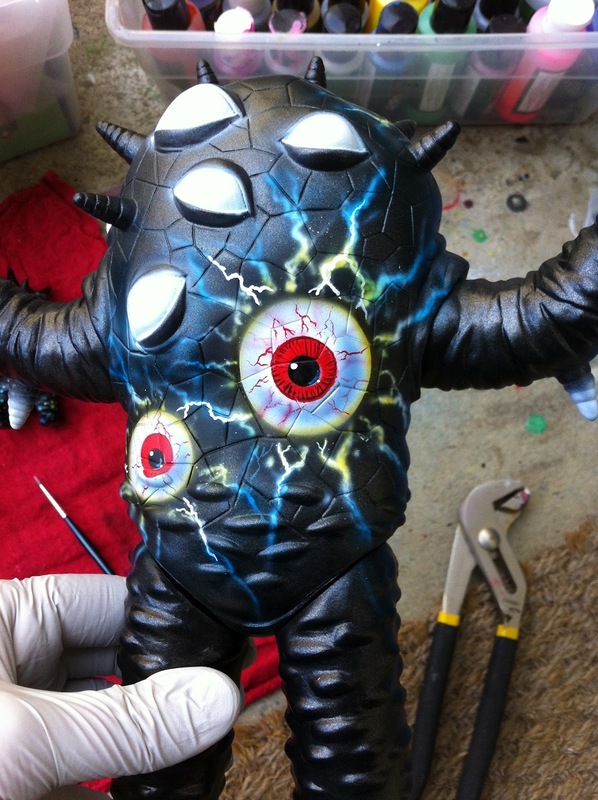 A quick step by step of my latest custom Kaiju Eyezon. 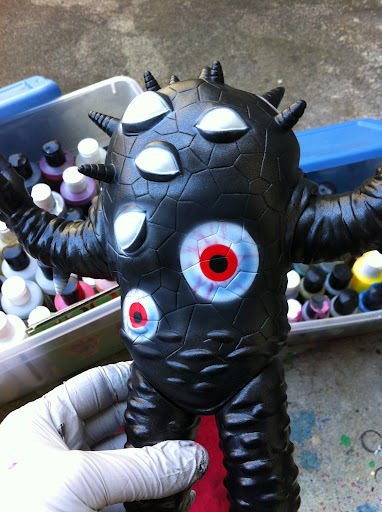 This time the theme was “monsters” for this show at OneUp Japan. I was stumped a few minutes and thought … hmmm.. monsters .. well it’s already a monster ! But thoughts of Rat Fink came in and thought of what the heck .. how can you go wrong with Eyeballs … and of course Eyezon being a mutant potato … way not add eyes ! I started by spraying Monster Kolor charcoal over the whole figure as a base coat. added some hand painted details, reflections and veins …etc .. Final figure done .. I wanted the attention to be on the painted details, so kept the rest of the figure straight forward, but did a use a bright Frankenstien Green to the bottom shading .. and a Bright Lightening Yellow to the top surfaces …. Figure is up for sale in May I believe via OneUp … they do ship outside of Japan, so you can contact them on their store site or go here .. send a simple, clear English email to them. Thanks everyone ! We have many exciting Max Toy projects coming over the next few months ( well the whole year ! ) 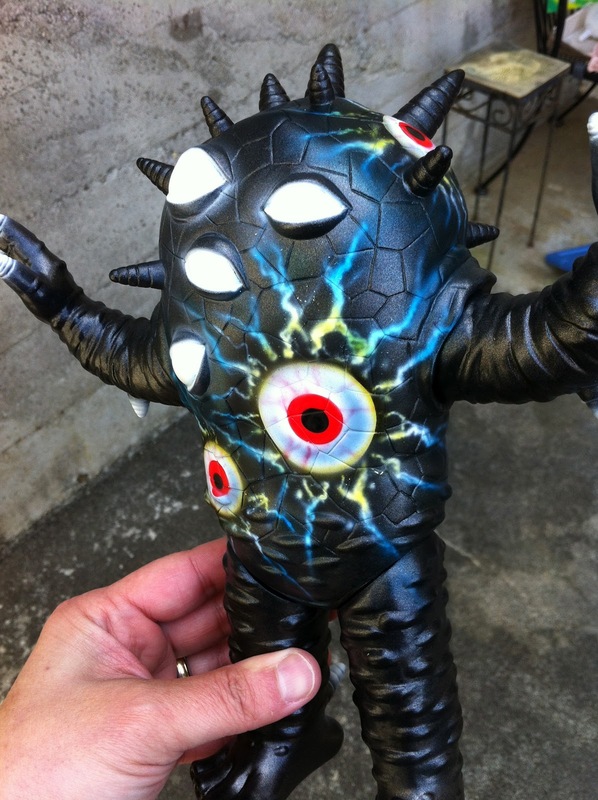 .. all i can say is … Kaiju Zanga … is Coming !! !